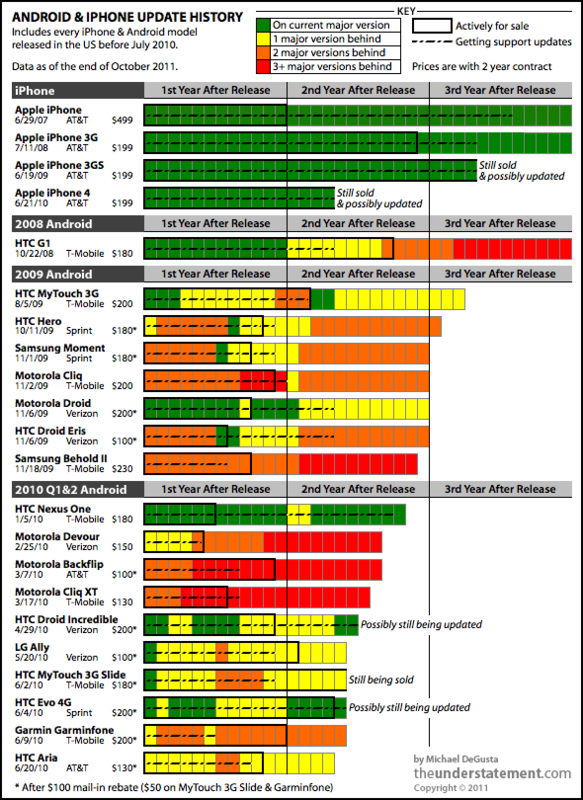 Great chart showing the inconsistency that Google has allowed fester in the Android ecosystem. You’ll note that the only Android phone that has always been kept current is the original Google phone, the Nexus One. Though it’s not on this chart I imagine the Nexus S has a similar history. I’m planning on writing another blog post about my miserable experience with waiting for Android upgrades from Dell and what that will mean for my next phone choice but Google has to start getting with the program on pushing their OEMs to ship the latest Android versions. Microsoft was able to do this for years with Windows. Google must learn some new tricks from an old dog.